Sam Smith and Fifth Harmony's Normani Kordei appear to be recording a new song together. The musicians were spotted hanging out in studio, with Normani's management sharing a picture of their meetup on social media. 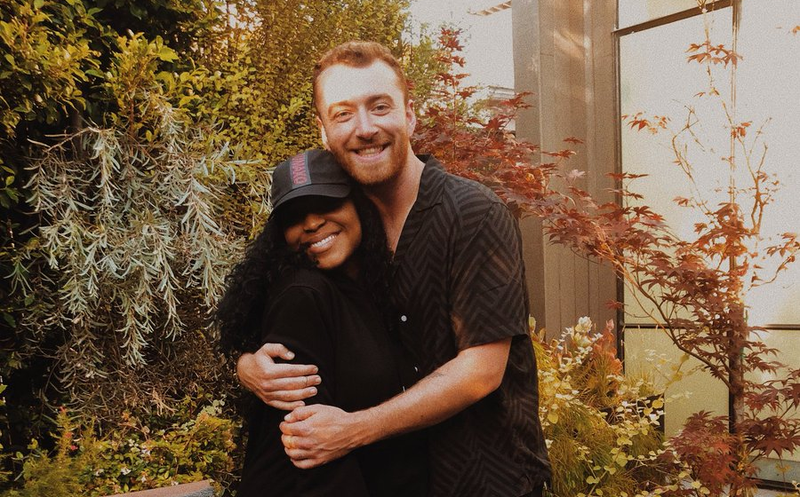 "Studio vibes @Normani @samsmithworld," S10 tweeted. The picture shows a smiling Normani and Sam hugging as they pose for the camera. It's no secret that Sam is a big Fifth Harmony fan. He revealed during an interview with Jimmy Fallon on 'The Tonight Show' that he only liked to do karaoke if it is a Fifth Harmony song. He got to meet the group during his appearance on James Corden's 'Carpool Karaoke' last year. ALSO READ: Barney loved Sam Smith's Carpool Karaoke version of "Too Good at Goodbyes"
The 'Too Good at Goodbyes' hitmaker didn't get to work with Fifth Harmony - who are currently on an indefinite hiatus - but it looks like he will be making sweet music with one of their members. Whatever Sam and Normani are working on is likely to be a smash hit. Normani's latest collaboration, 'No Lies' featuring Khalid, is climbing up the charts. Sam's latest single, 'Baby, You Make Me Crazy', is also a chart topper. It's currently at number seven on The Chamberlains Top 20. Put these two artists together and music sparks are bound to fly.